GRASS VALLEY, Calif. February 5, 2019 – His cancer has spread. It’s in his blood; it’s in his bones; it’s everywhere. Scott Wirtz, affectionately known as Scooter, will live out the rest of his days intermittently homeless with stage 4 prostate cancer. Wirtz has lived in Grass Valley for approximately 18 years, 13 of them in a mobile home he owned. He admittedly has struggled with substance abuse, but noted that even with addiction, he has never once stolen from anyone. He stands by his integrity and identifies as a protector, always willing to help someone in need. “At one point I gave an older lady my bedroom and I slept on the couch,” he recalled, noting his home was frequented by those seeking sanctuary from the harsh conditions of street life. Such decisions, however, coupled with his addiction, led to his eventual eviction. 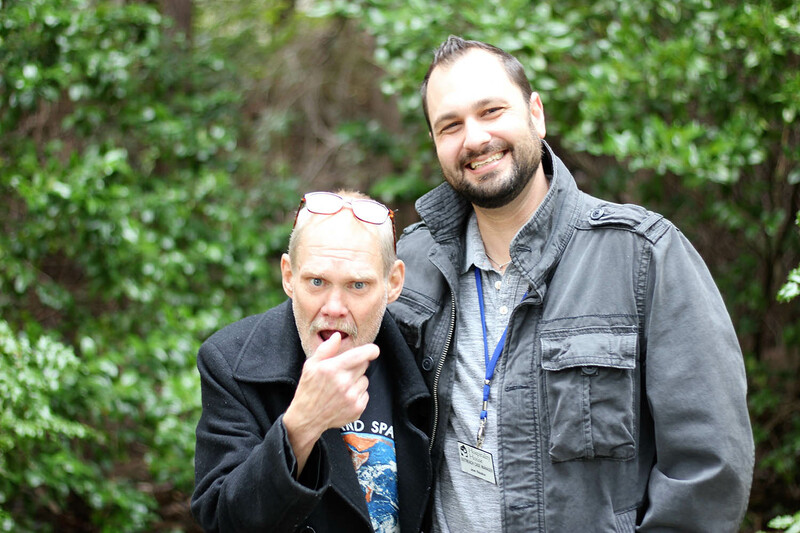 In time, he found himself without a home and nowhere to go … but Hospitality House was there. 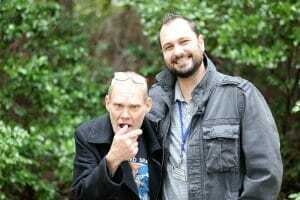 While Wirtz has never stayed in the shelter for a fixed duration, mainly due to struggles with his sobriety, Hospitality House still extended him its services beyond food and shelter. He was assigned a case manager, Fred Skeen, and he also works with Naake. 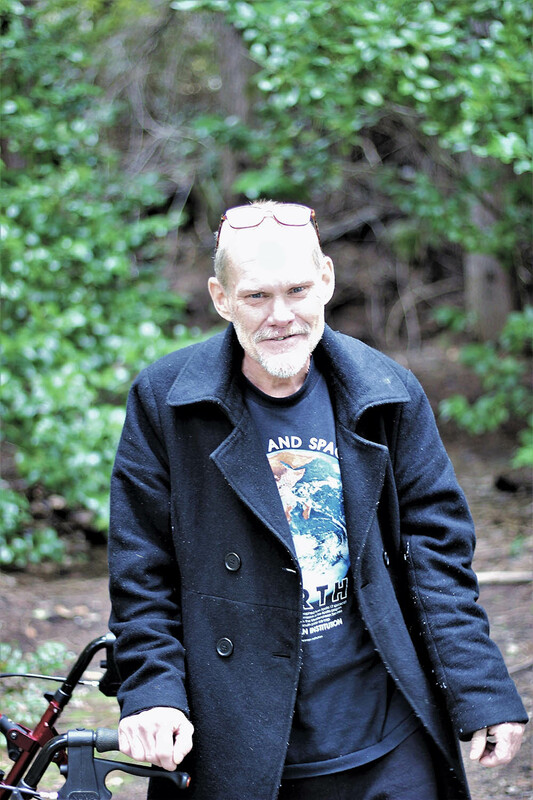 His social worker, Jeffrey Wanzer-Dupra of Nevada County Behavioral Health, and others on the Behavioral Health team have also been instrumental in helping Wirtz get back on track. Hospitality House and Behavioral Health collaborate to help those in need, and Hospitality House is even in the process of expanding its dormitories to include recuperative and low barrier care, so individuals recovering from hospital visits or struggling with sobriety can get the services they need to recover. Unfortunately, not all stories have happy endings. In working with Wirtz, it was revealed in recent weeks that he’s terminally ill. 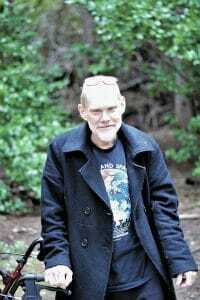 He was diagnosed with stage 4 prostate cancer and was given anywhere from a few weeks to a few months to live. He has since bounced between hospital visits, Hospitality House, assisted living centers and motels, with no place to truly call home. Wirtz is temporarily living in a motel today, but Hospitality House and Behavioral Health are working together to move him this week into Wolf Creek Care Center, a skilled nursing facility where he can comfortably receive hospice treatment. Sadly, helping someone through their end of life illness is a calling Hospitality House does compassionately almost every year, ensuring those in need have an opportunity to die with dignity, and not on the streets alone. Along with his faith, Wirtz is also celebrating a recent reunion with his son—who, until recently, he hadn’t seen in over 10 years. His son is newly married, and along with his wife, traveled from out of state to visit. Reconnecting with his son has meant everything to Wirtz, but he’s also come to realize that he’s had a second family all along.